Description: Welcome home to flatiron meadows in wonderful erie within boulder county top rated schools! 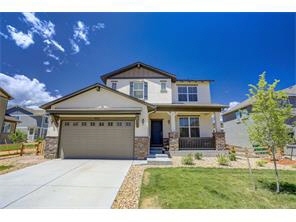 You’ll love this open, light and spacious telluride model with beautiful stainless appliances including gas cook-top and granite counters this homes features hardwood floors, study, loads of natural light, full landscaping including flagstone patio, three car tandem garage and a guest suite. Even the washer and dryer are included! Why buy new spending countless $$ in upgrades when this home has it all and is move-in ready now! Elementary school and park coming soon just down the street.